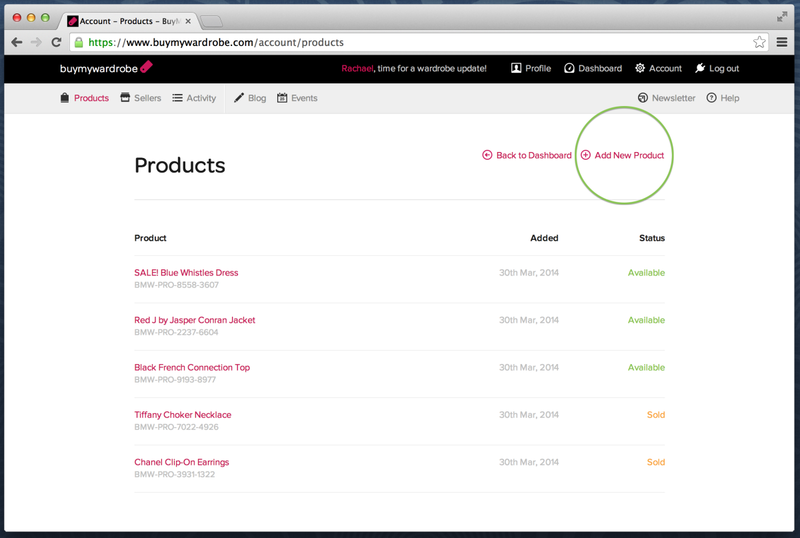 First, navigate to your products page by clicking "Dashboard" and then "Products". 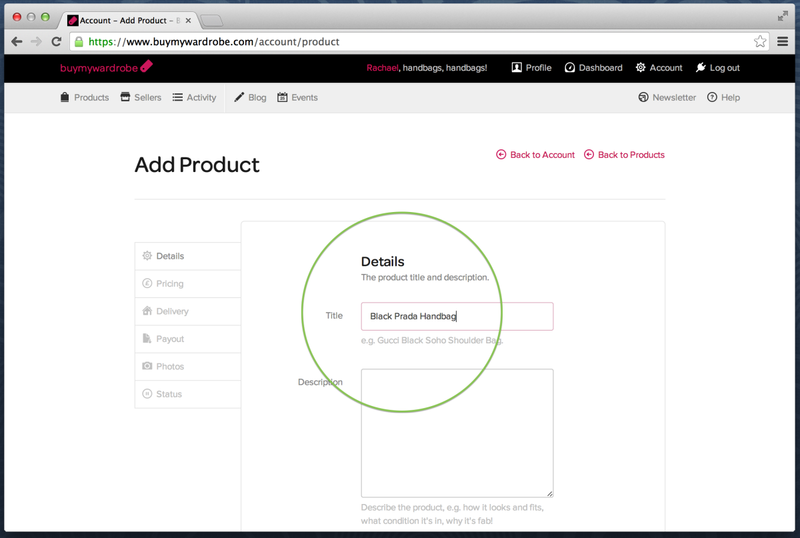 Then click "Add New Product" at the top right of your products. Now you can start adding details for the product - on this page you'll need to add a title (short but descriptive is best, e.g. Black Prada Handbag), a description for the product (make sure to include as many details as possible about its history, dimensions and condition), a size, a collection (like "Dresses" or "Bags and Purses"), a brand and colours. When you're done, click "Save Details". 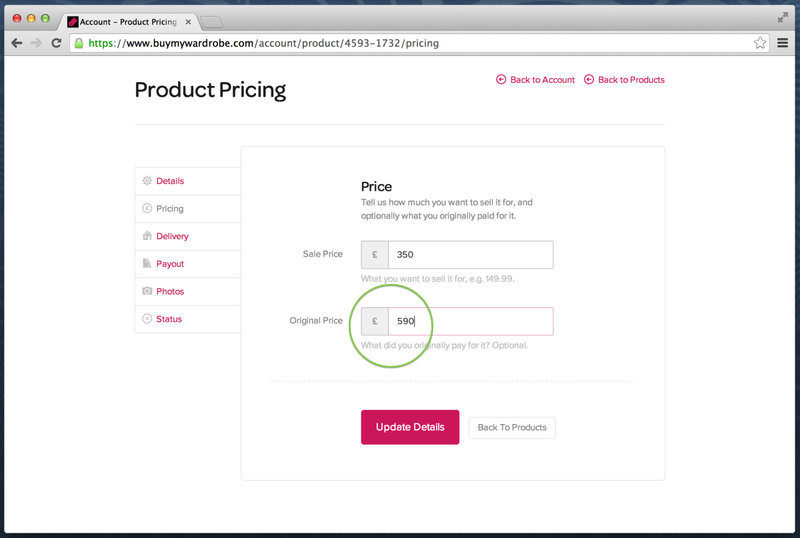 Now add a sale price for the product (i.e. what you want to sell it for) and if you can remember also the original price you paid for it (which really helps to sell the product). 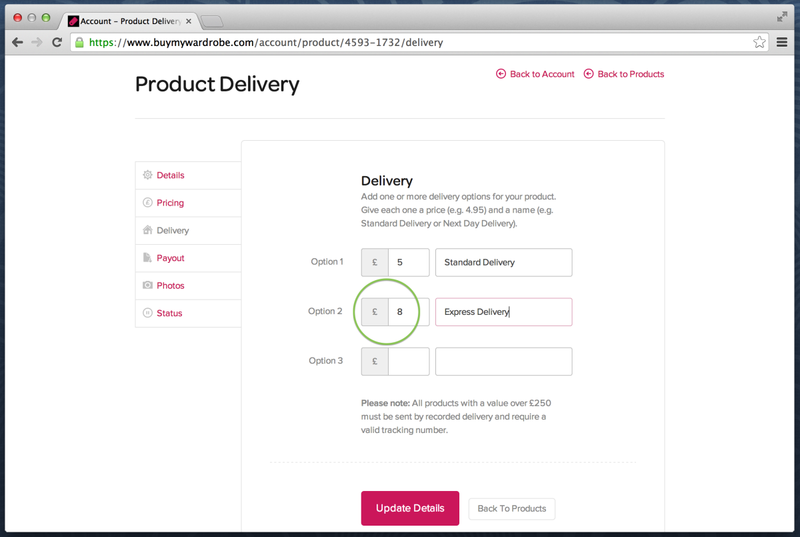 Then click the "Delivery" tab on the left hand side and enter at least one delivery option. The more you add the better (e.g. standard, courier, express, international) as it gives the buyer more flexibility. Remember, if the product sale price is over £250 you must include a recorded delivery option which has a valid tracking number. 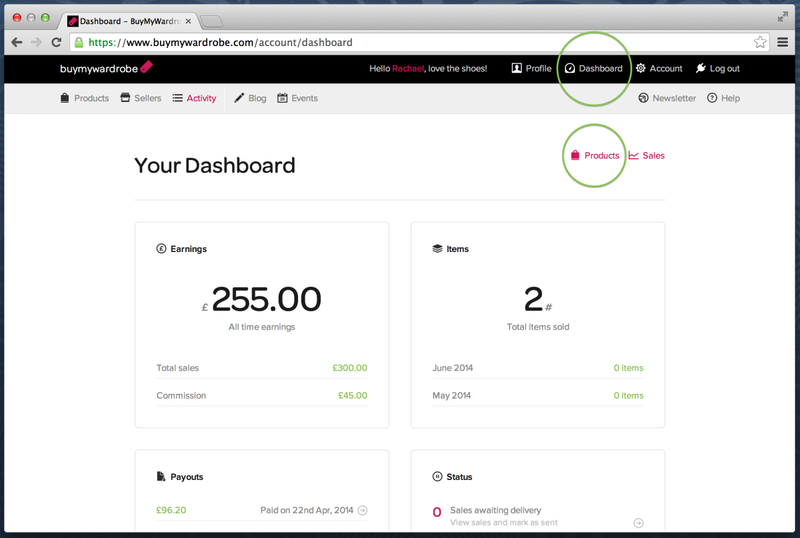 Bank account - Enter your bank details. 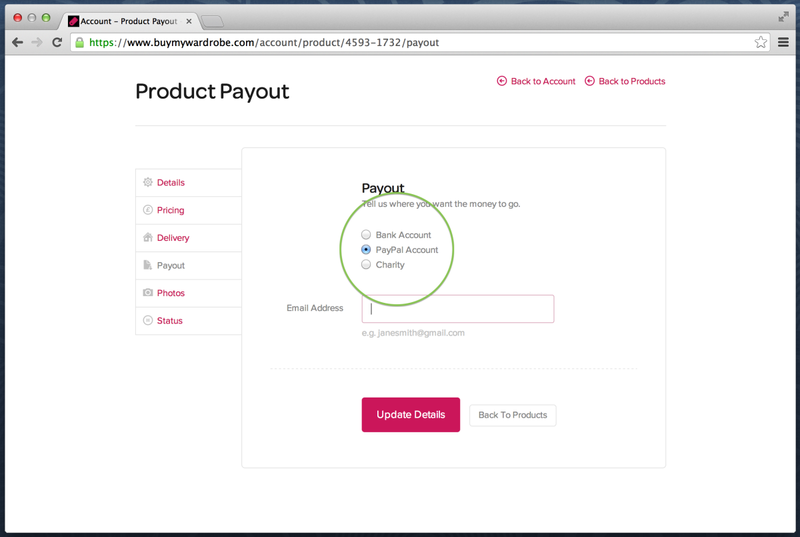 PayPal - Enter your PayPal account email address. Charity - Pick from one of our selected charities. When you're done, click "Save Details". Next, click the "Photos" tab on the left hand side and upload at least one photo of the product. Remember, lots of great quality photos from different angles will really help sell your product. To delete a photo, click "Remove photo" next to it. 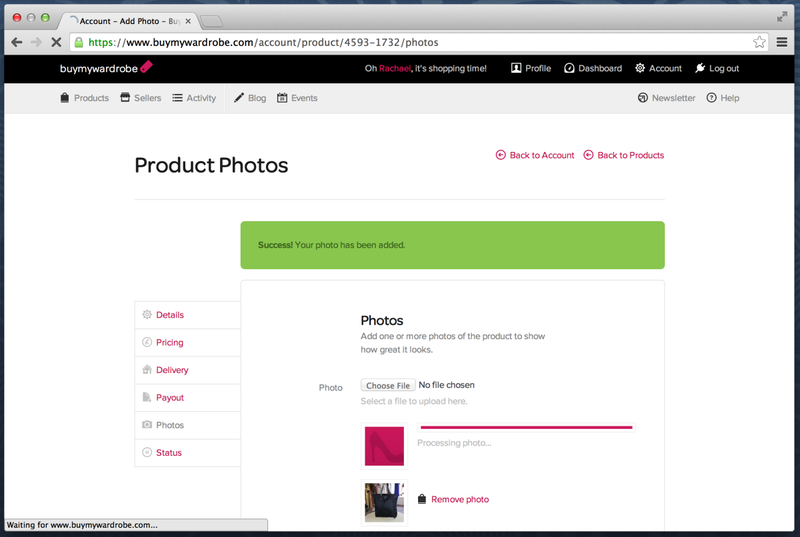 To re-order your photos, simply click and hold on a photo and drag it up or down. 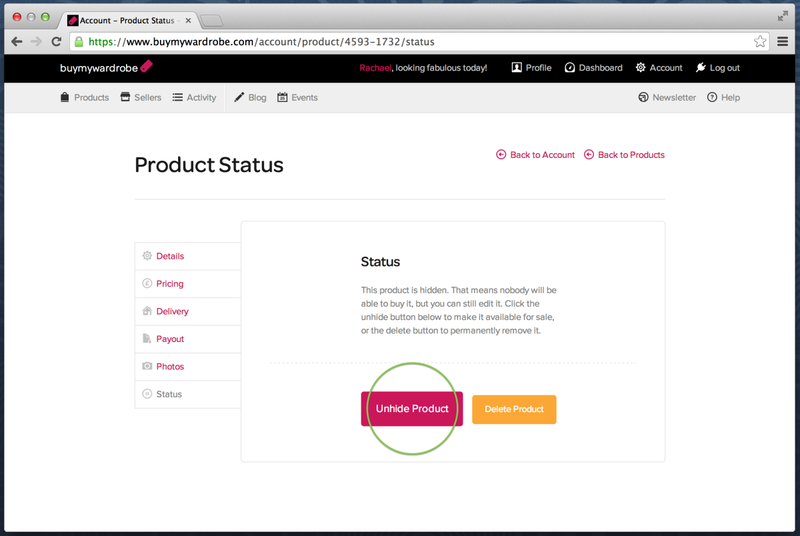 And finally, when you've added all the relevant details, click the "Status" tab on the left hand side and then click "Unhide Product" which will add the product to your profile and make it appear on the sites "Activity" feed page. Your product is now available for people to buy, congratulations!